Dr. Hala Hagrasi completed her MBBS from the Suez Canal University, Egypt, in 1990, before receiving her Master's Degree (MS) in 1995. 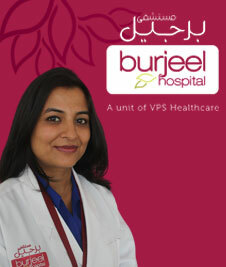 She subsequently completed her Doctorate in Pediatrics in 2005 from the same university. With over 20 years of experience, she specialises in General Pediatrics, Neonatology, Pediatric Pulmonology, Treatment of all Pediatric Chest Problems such as Asthma and other Allergic Diseases. Dr. Nashwa Elsayed completed her MBBCh from Cairo University, Egypt, in 1989 and subsequently received her Master's Degree in Pediatrics from the same university in 1995. 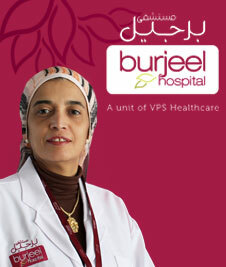 In 2005, she received her MD Degree in Pediatric and Neonatal Medicine from Ain Shams University, Egypt. She is a member of the European Society for Pediatric Endocrinology, Egyptian Pediatric Association, Egyptian Society of Pediatric Endocrinology and Diabetes, Egyptian Obesity Association, and Egyptian Society of Child Care Assistance to Young Diabetics. Dr. Deepti Chaturvedi has over 10 years experience in the field of Pediatrics and specialises in Pediatric Endocrinology and Diabetes, Growth and Pubertal Disorders, Childhood Thyroid Disorders, Pediatric Calcium and Vitamin D Disorders, Childhood Obesity, Disorders of Sexual Differentiation and Adrenal Disorders. Dr. Shahid Rashid completed his MBBS from Rawalpindi Medical College, Pakistan, in 1983, before receiving his Master's in Surgery from the Postgraduate Medical Institute (PGMI), Pakistan, in 1992. Subsequently he became a fellow of the Royal College of Surgeons in the UK (FRCS - UK) in 1998 and a fellow of the European Board of Pediatric Surgery (FEBPS - UK) in 2011. He has over 30 years of experience in the field of Pediatrics. Dr. Marie Caron completed her medical education and training from the Universite Laval, Canada, in 1995, before being awarded the fellowship in Pediatric Orthopedic Surgery from the Shriners Hospitals for Children, USA, in 2003. 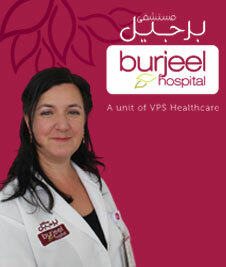 She has over 14 years of experience in the field of Pediatric Orthopedics. Dr. Ahmed Elbakary completed his MBBCh from the Ain Shams University, School of Medicine, Egypt, in 1988, before receiving his MSc Degree in Pediatrics from the Ain Shams University, Egypt, in 1993. HE subsequently received his Doctorate in Childhood Studies from the Ain Shams University, School of Medicine, Egypt, in 2000. He has over 29 years of experience in the field pf Pediatrics and is a certified BLS, NRP, PALS, CPRR and ACL provider. Dr. Mohamed Amin Elgohary completed his MBBCh in 1972 and subsequently completed his Diploma in General Surgery from Cairo University, Egypt, in 1975. He became a fellow of The Royal College of Surgeons in UK, Edinburgh in 1979, London in 1980, and Glasgow in 1997. 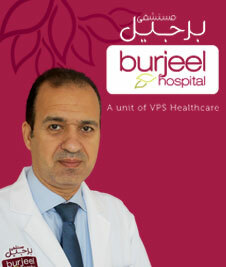 He is the President of the Pediatric Surgical Association of UAE. He was awarded the Shield of the College of Pakistan in 1996 and the Medal of International Recognition in Pediatric urology from the Russian Association of Andrology in 2010. He was given a Silver Medal from the Royal College of Surgeons, Ireland in 1978 and an Honorary Fellowship from the Royal College of Surgeons, Glasgow in 1997. 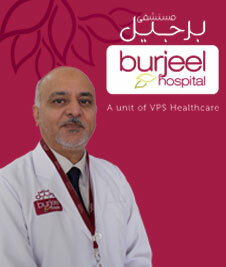 He is a member of several associations in Pediatric surgery like the International Society of Intersex and Hypospadias Disorder (ISHID), British Association of Pediatric Surgery, Egyptian Association of Pediatric Surgeons, Asian Association of Pediatric Surgeons, and Pan African Association of Pediatric Surgery. He is also the founder and member of the Arab Association of Pediatric Surgeons. Dr. Riem Farah completed her MBBS from the University of Khartoum, Sudan, in 1996, before receiving her Master's Degree in Public Health from the University of Liverpool, in 2012. Subsequently she became a member of the Royal Colleges of Physicians of the United Kingdom (MRCP UK) in 2013. 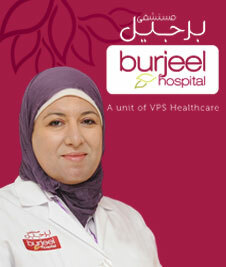 She has over 20 years of experience in the field of Neonatology. Dr. Ahmed Mohamed Abdelaal Mohamed completed his MBBS from Al Zagazig University, Egypt, in 1989, before receiving his MS in Pediatrics and MD in 1994 and 2006 respectively from the same university. He has over 25 years of experience and is a certified APLS and ACLS provider. Dr. Devadas Nijandas completed his MBBS from the Kasturba Medical College, Mangalore University, India, in 1991, before receiving his MD from the JJM Medical College in Kuvempu University, Davangere, India, in 1997. He is certified in Basic Neonatal Ventilation (2002), Advanced Neonatal Ventilation (2011), Total Parental Nutrition in Neonates (2012), Neonatal Resuscitation Program (NRP), 2013. 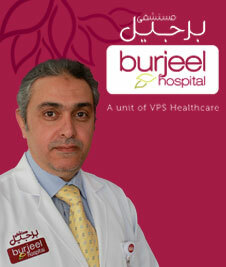 He has over over 15 years of experience in the field of Neonatology.